Iliacus refers to the ilium or ilia which is the uppermost part of your pelvis. 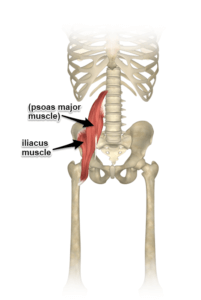 Iliacus is one part of the iliopsoas muscle (we’ll cover psoas major next time!). Where Does the Iliacus Muscle Attach? One end (proximal) of the iliacus muscle has a broad area of attachment on the inside of the pelvic bowl. You can see it outlined in the image to the right and bottom. The other end (distal) attaches onto a bump on the inside and back of the femur called the lesser trochanter. This is the exact same place that the psoas major attaches. What Are The Actions of the Iliacus Muscle? The simple answer is that the iliacus muscle flexes and externally rotates the femur. 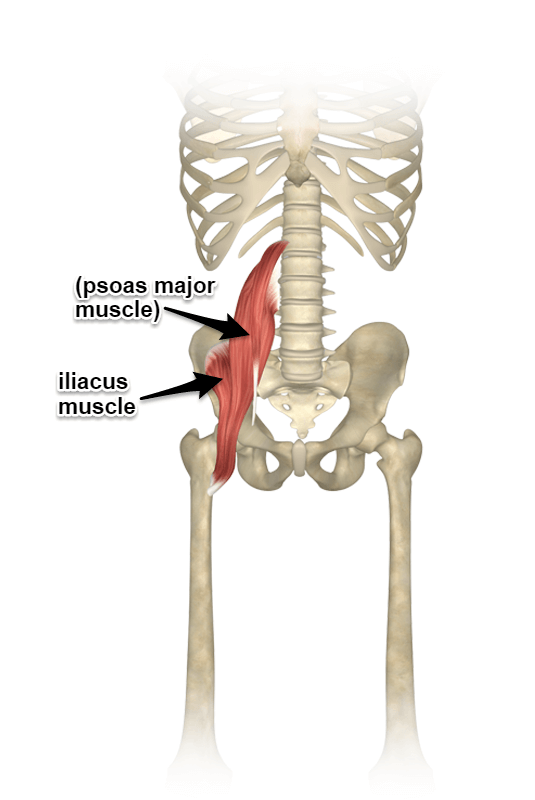 When combined with the psoas muscle, the two muscles are considered the strongest hip flexors in the body. It uses the pubic bone as leverage to create some of that strength. Keep in mind that most muscles are described from anatomical position. 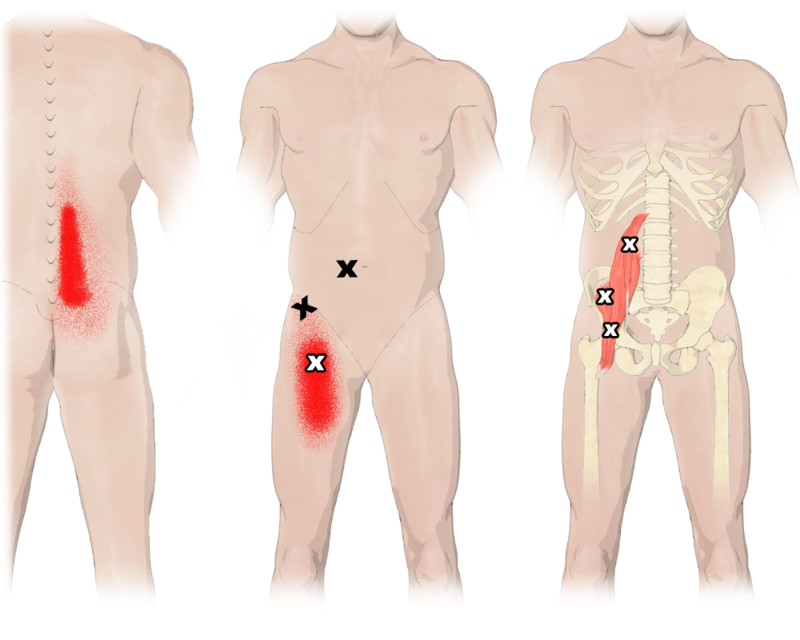 This means that it is assumed that the pelvis is more stable than the femur which is true most of the time. 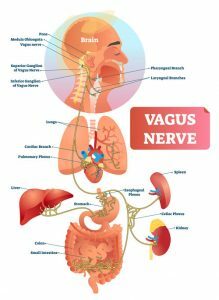 However, things are not so simple in the body. 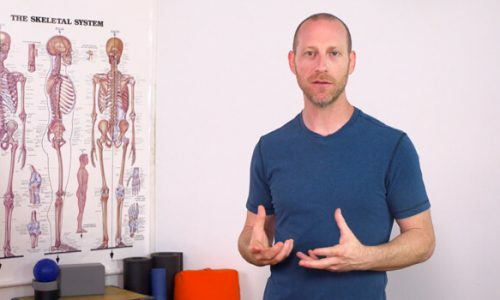 Not only could we find ourselves lying on the floor and using this muscle to lift our pelvis, torso, and spine, but we would also use this muscle to help stabilize the femur and the pelvis relative to one another. The iliacus muscle is contracting in boat pose. Although she is using her hand to help, the iliacus muscle along with other hip flexors, lifts the leg. The iliacus muscle should be used to bring you into a forward bend. Supta virasana lengthens the iliacus muscle. You can put more pressure on it by lifting the hips in this position as well. 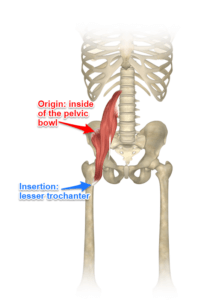 The iliacus muscle lengthens when the hip joint goes into extension, especially if the knees stay straight. Ustrasana also lengthens the iliacus muscle with the hip moving into extension. 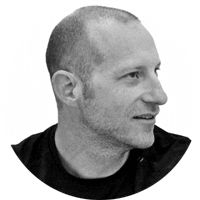 You may also recall an article I wrote related to a “pinching sensation” near the inside of our hip when adducting the thigh as we do in twists. This is usually the iliacus muscle. Check out the video on the article to see how test and see if it is your iliacus.